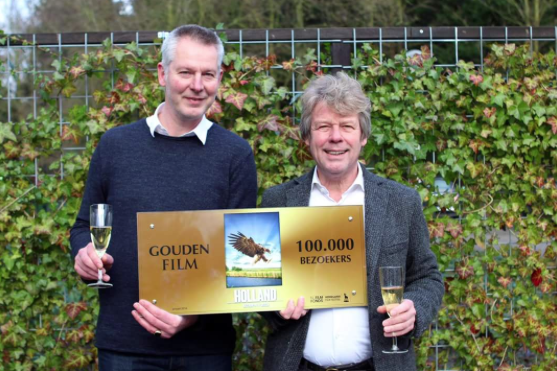 A week after Holland – The Living Delta was awarded the prize for best movie poster of the year, it struck gold once more. In 100 days the film attracted more than 100,000 visitors to the cinema screens. We can now officially call the film a Golden Film. Producers Ton Okkerse and Ignas van Schaick received the Golden Film board on behalf of the Dutch Film Festival and the Dutch Film Fund. You can order the film on DVD with English subtitles (all regions) on the EMS FILMS website. different facet of the delta; from the macro to the micro; from mysterious underwater worlds to panoramic aerial views.